I read this article and wanted to share it with you: Does Learning Have to Be Painful? 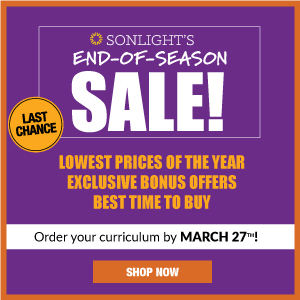 https://blog.sonlight.com/does-learning-have-to-be-painful.html. Some educators seem to suggest: “Learning is painful. Get used to it.” They expect kids to learn to grit their teeth and persevere. And yes, education may be hard. Perseverance is a valuable skill. But should that be our starting point with education? I say – no way! Instead, don’t we want our children to believe something like this? I want to learn about it. I know from experience that I can learn new things and gain new skills. 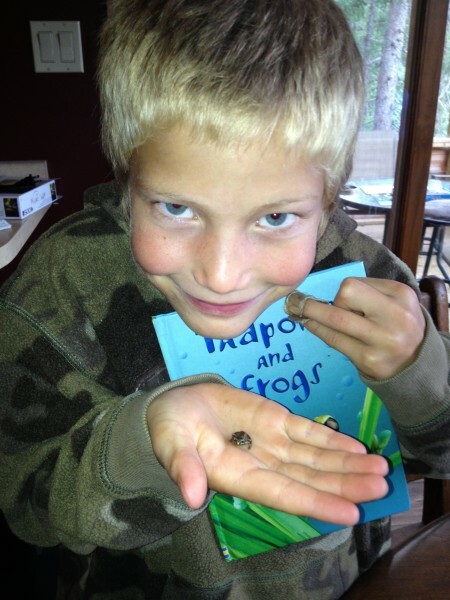 "Trevor Y delights in his real-life study of frogs and tadpoles. 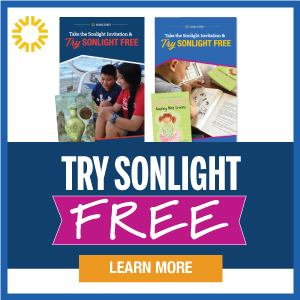 As his mom says, Sonlight has given their family the gift of the love of learning!" Children who believe this are set up well for life. They know that they can achieve what they set their minds to. They know that learning is sometimes hard work, but that it pays great dividends. I’ve said it before and I’ll say it again: No educational program can possibly teach children all they need to know for life by age 18. So instead we better give them a great foundation and help them love learning! How do we do that? Well, God made our children with an inborn sense of curiosity. Just watch a toddler’s drive to learn about the world around her. That curiosity doesn’t have to go away as children grow. We can notice and nurture it. And as we nurture our children’s curiosity, we can help them gain confidence in their abilities. Every time our children learn a new skill and we let them use it, they internalize an important self-message: I can do things. That’s why I want children to have positive experiences with learning. I want them to internalize the delight of mastering new skills, the wonder of discovering new things. So how do we achieve this? 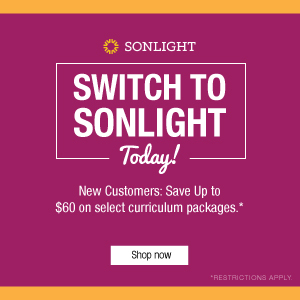 We’ve designed Sonlight’s entire program in order to help students love to learn. 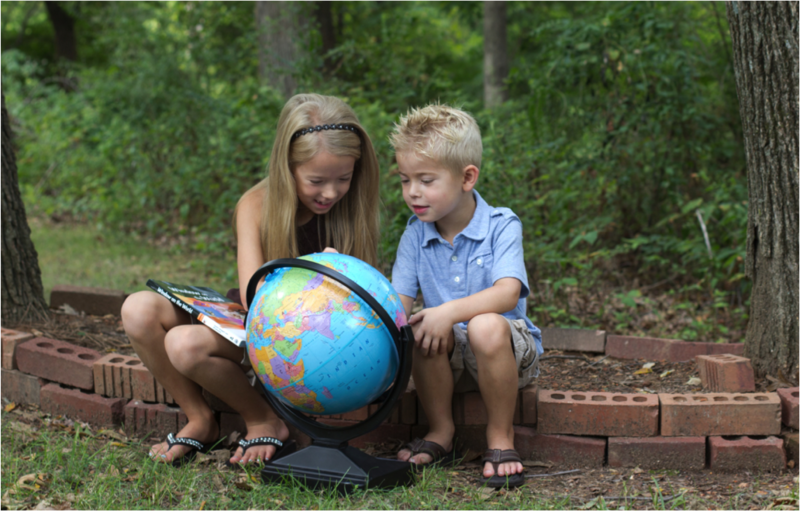 Instead of relying on worksheets, textbooks and flashcards, we use gripping stories to teach children about the world. 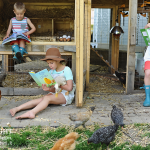 As they listen to Mom or Dad read out loud, many kids don’t even know they’re “doing school,” but they are in fact learning by leaps and bounds. Intriguing? 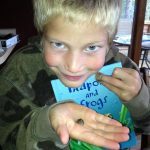 You can read more about How Literature-Rich Homeschooling Awakens Your Child’s Natural Passion for Learning. 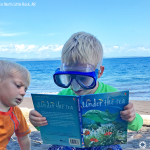 When we work with children’s innate desires to learn, we reinforce important lessons that will carry them forward throughout the years: learning is worthwhile, and they can do it. Sure, even children who love to learn will have hard days. They will struggle to learn some things. They may cry over a math concept or get angry when they receive constructive criticism on a writing assignment. But let’s not start with the painful side of learning. Let’s not pretend that “painful learning” will be the primary feature of their education. Let’s start with the beauty of learning, with children’s natural desires to explore and figure things out. Then when the hard stuff starts to come, they’ll know what to do with it. And you will have the joy of teaching children who know from experience that learning is exciting and that they can do it. That’s a far easier task than “force-feeding” children an education they just don’t want. 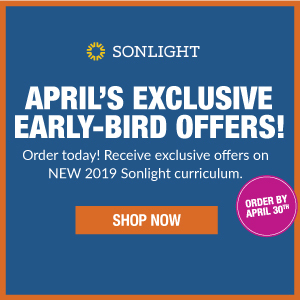 Sonlight can help you bless your children with a love of learning. 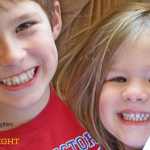 You can discover how to love your homeschool journey. You can set your children on a trajectory of life-long learning. I can’t wait to see how God moves in your children’s lives. Because children who love the Lord and love to learn will grow up to change the world!